Pizza is my life. No, really. If there was one food that I could eat every day for the rest of my life it would be pizza. Thin crust, Chicago style, authentic, white sauce – you name it and I’ll most likely eat it. I’m not super picky. That’s not to say there aren’t certain pizzas I prefer, though. When I look for a great “authentic” pizza place there are two things that matter to me – crust and topping freshness. The crust can’t be too seasoned. For the record, I hate what most chain restaurants are doing by adding garlic or parmesan to it. It needs to be crispy, but still chewy, and it shouldn’t have flakes of the crust coming off as crumbs. The toppings should never taste like someone poured canned something onto what I’m eating. The sauce should taste homemade, the veggies fresh and when possible the cheese should vary to be more than just mozzarella or parmesan. Throw some feta or asiago on there. The place that meets all of the criteria for a delicious authentic pizza? 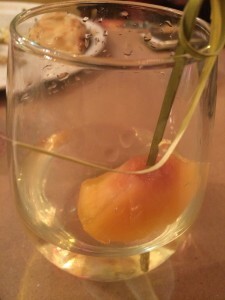 Pizzeria Rustica. 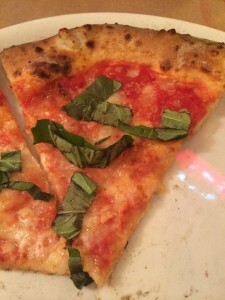 Honestly, this isn’t a pizza place I frequent – mostly because they don’t deliver and they’re a little pricier in terms of dollar per square inch of pizza – but every time I go I get quality service and the pizzas are consistent, which is important. 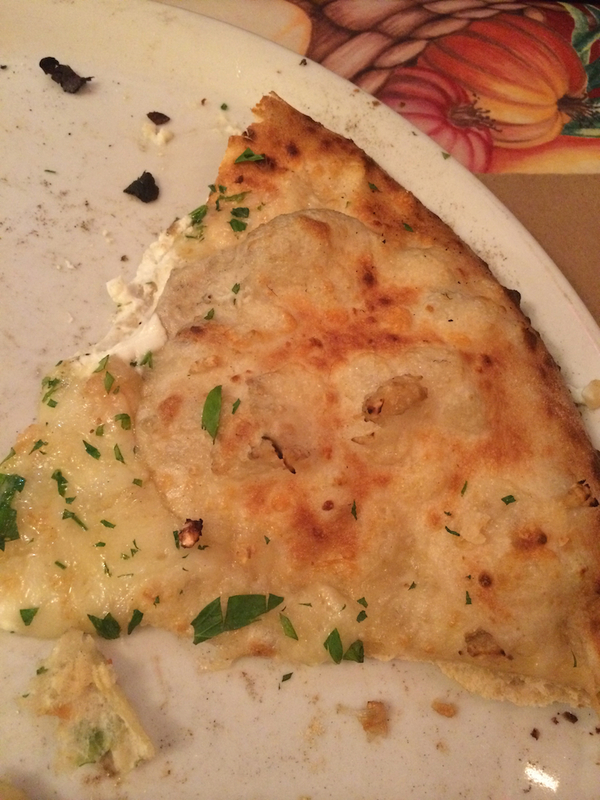 I typically order the Margherita Pizza and have them add fresh garlic, but recently a friend and I went and she had the Cince Formaggi. It has a white sauce, five cheeses and garlic and it was awesome. Way better than a plain cheese from any chain restaurant (except maybe Louie’s, but we’ll get to that in another post). The pizza isn’t the only star on their menu though. Their bellinis are really delicious and pretty strong. By pretty strong I mean, you have two and you’re walking home or getting an Uber. I chose a peach one, but there were other flavors like blood orange. 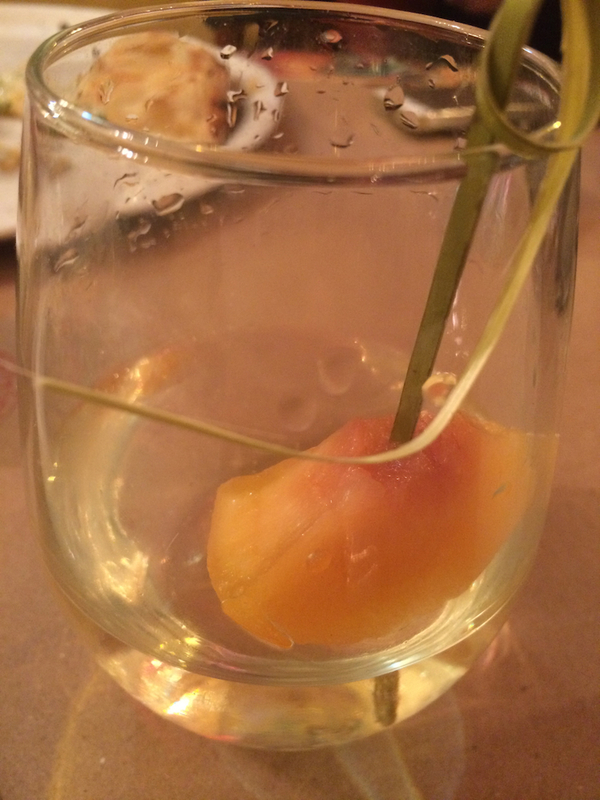 One word of advice – that fruit is VERY booze-infused so if you don’t like the taste of liquor, don’t eat the fruit. I’d be lying if I said I didn’t make a face and have to choke it down. So if you find yourself wandering the streets of Old Colorado City this holiday season, maybe take a break for a bellini – just be sure to stop and shop it off before driving home.